Grab yourself a copy of this duo setting one of the most popular jazz tunes. Included in the free download are parts for Flute, Clarinet, Alto Sax, Ten Sax, Trumpet, Fr Hn, and Trombone. 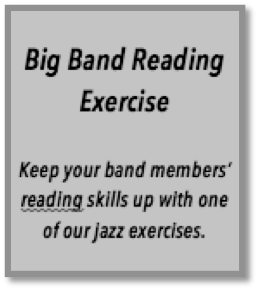 With a nice easy first chorus for more beginner students, it then breaks into a jazzy variation for the second chorus to challenge the stronger players. Taken from “The Companion Series”, these duets and trios come in books for most instruments. There’s something in there for any level of player with simple to tough tunes, and from classical to jazz. What’s extra great about them though is that all books are compatible with each other! To view the range of books and hear some samples Click Here.